The seventies were great years. They had a momentous impact on me. I found myself in the midst of a lot of happenings. Bangla Desh was liberated. Noor e Alam Siddiqui alias Tiger Siddiqui, Abdul Qudus Makhan, Shahjahan Siraj and Mohammad Abdur Raub, their bravery at the helm of Mukti Bahini stuck to my mind. General Niyazi was brought to my home town of Gwalior. His surrendered pistol adorns the mess at Gwalior. The boy king, His Excellency Jigme Singhe Wangchuk sat on the throne of Bhutan at the same time. I had embarked on my medical studies in Gwalior Ten years later, I watched him playing soccer with his uncle at the stadium in Thimphu. I read yesterday that he wants to quit monarchy and give Bhutan a democracy as much as I would love to leave medicine and enter a world of creative involvements. Anglo Indian Literature had already found roots. I was far more entranced to the Anglo Indian Community in Kolkata who I firmly believe gave the first input to culture and literature in India. Aparna Sen made "36 Chowringhee Lane" and later Tanuja with Victor Bannerjee made "An August Requiem", a salute to this wonderful vibrant community in Kolkata. Kolkata was swinging to the strains of such popular groups as Frustrations Amalgamated, the Forbidden Fruit and the Savages. Sushmit Bose was writing and performing music at Delhi. He released his album "Train to Calcutta" which was an instant hit. Ananda Shankar, schooled at the Scindia School, Gwalior had the world agog with his fusion music. Years later I had to buy his Vinyl Discs from an obscure collector in Copenhagen. I frequented the pubs in Park Street and listened in trance to two great legends, Braz Gonsalves and Pam Crain. Pam still croons at the Trincas in Park Hotel. Usha Uthup was making her presence felt. She too was singing her own compositions. Poets like Purushottam Agarwal, Hemant Joshi ‘Hem’ and Renuka Singh all from Delhi influenced me. I remember Renuka Singh’s ‘Solitary Seconds’ published in the seventies adorning the shelves of book shops like ‘The Book Worm’ in Connaught place and ‘Teksons Book Shop’ in South Extension, New Delhi. She teaches Sociology at Jawaharlal Nehru University, New Delhi. I was peddling my book ‘Ritual Silences’ at Janpath, on the street at any price. Poetry hardly sells as they all say. R. Raj Rao had brought out his first poetry book titled ‘Fracture’ in a stenciled form. I bought his book from Manney’s Pune. Medical Doctors like Gieve Patel from Mumbai had already established their art and poetry in the international circuit while Kuldeep Singh Tuteja with a Masters in Physiology and English Literature was being regularly published by Imtiaz Dharkar, herself an artist and a poet in Debonair. Dr. Tuteja is a Professor and Head of the Department of Physiology at the Medical College in Indore. Dr. Rajen Srivastava and Dr. Hari Prakash Jain from Gwalior are my course mates, wrote poetry profusely, and shared emotions over endless cups of tea at all odd hours. I am especially indebted to Rajen Srivastava for introducing me to the literature of Dr. Nirmal Verma. His book ‘Wey Din – Those Days" about sudden love in Prague is a virtual prose in poetry. Hari Prakash Jain now an Ophthalmologist in Shivpuri, near Gwalior has a book of poems published and is well known in Madhya Pradesh Literary scene. He was chosen to represent at the Hindi Samellan in Mauritius. Pritish Nandy filled up a need during that period when Kolkata needed a young poet who could write love poetry with the imagery of an artist but who could also collude with the political environment of a changing scenario. His poetry was a breath of fresh air, almost true in an Indian environment and remained different from mainstream Indian writings of the day. Purushottam Lal a Professor in English Literature at the Calcutta University and a well known Indo English Poet published Nandy’s poems through his Writer’ Workshop. I had the fortune of meeting him at his Lake side Garden residence where I had gone to buy early poetry of Kamala Das. Writers Workshop to this day brings out regularly Indian poetry and writings in English of poets from all walks of life and remains a representative forum of Indian literature. Pritish wrote ‘Most of the time I am madly in love, stranger faces at stranger times’. He was in love in Kolkata and wrote the most beautiful love poetry bordering on to sensuality and erotica. your hair. This passion alone can resurrect our love. During the time Pritish Nandy was showing promise, another poet, Kamala Das from Kerala wrote love poetry and brought Kolkata within her confines. Her first book ‘Summer in Calcutta’ and later ‘The Descendants’ published by Writers Workshop, Kolkata made me feel love poetry with a difference. Pritish Nandy‘s imagery of a neo fantasy world where ‘carriages whipped out long lost promises in the dark’, Kamala instead wrote of a stark realty, a love that can be obsessive and hurtful. Kolkata remained a fertile ground for their creativity to sprout. Kamala Das wrote with such passion, her poetry remains iconoclastic, defying norms yet daring you to read. I found her book ‘My Story’ at the AH Wheeler Book Shop in Gwalior Railway Station. The Autobiography is prose-poetry, like peeping into shadows, a whiff, now here, now gone. 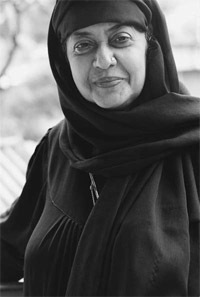 Pritish Nandy collaborated with Kamala Das to bring out poetry collections and included her in all the anthologies he edited from 1972 to 1977. Statesman had closed down JS and Desmond Doig left for Kathmandu. Pritish was still writing evocative poetry and had bought a Standard Herald which he included it in his poetry and whizzed around Kolkata, gathering words and feelings. He shared friendship during this period with Aparna Sen and her husband Mukul Sharma. They wrote poetry and dreamed of far greater achievements. The then Chief Minister Siddhartha Shankar Ray and his wife Maya Ray happen to be great poetry enthusiast and Pritish Nandy found an avid listener and a reader. But it was his friendship with Mallika Sarabhai, the well known choreographer and dancer that brought his poetry to the forefront of contemporary writings in Indian Literature. One early morning, I found myself staring at a full page article on Pritish Nandy in The Times of India. He had launched his celebrated book ‘Lonesong Street’ and an EMI vinyl disc where he recited his poems to the music of Ananda Shankar both dedicated to Mallika Sarabhai. His poem on Kolkata was hailed by Times of India as ‘the finest poem in the past decade written by an Indian’. Lonesong Street brought out by Heinemann has the poems of Pritish Nandy accompanying the photographs of well known photographer, Dhunji Rana. I was in Delhi by the next train buying his book and LP at Dass Studios in Connaught Place. His poems were all for a beautiful girl, I couldn’t keep it, it had to go to another girl. Lonesong Street was made into a film, its music by Ananda Shankar drew packed crowds in Kolkata and the film festival circuit. Lonesong Street is a collector’s item. There is a picture that has stuck to my mind. A young Pritish presenting the LP of Lonesong Street to Mrs. Indira Gandhi. 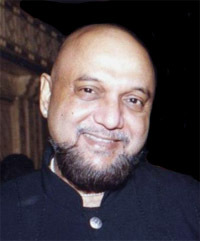 At 28, Pritish Nandy became the youngest recipient of Padma Shree. Poet, Translator, Filmmaker and Graphic Artist, Pritish was a one man factory, churning out poetry, experimenting with form, design, adding Hindi, Bengali words for that unique experience. His poetry was rejected by overseas publishers whereas Indian poets refused to include him as a part of a new poetry renaissance. I remember discussing about him in Masters Classes of Literature at the Jiwaji University, Gwalior. The professors had either not known about him or they didn’t encourage the style of his writing which was considered very unliterary. I was considered an outsider trying to pollute students of English Literature with my talk and poems. Professor PN Laha, Late Professor of Medicine at the Medical College, Gwalior, a poet and a contemporary of Dr. Balai Chand Mukhopadhyaya, popularly known as ‘Bonophool’ once took me to the Usha Kiran Palace Hotel where I was supposed to talk on Contemporary Trends in Indo-English Poetry to a group of Rotarians who were essentially business people. After I have finished talking, one of them stood up and asked me, why I haven’t talked about Tagore. Pritish Nandy got a similar rebuff many a times, unemployed, writing poetry seventeen hours a day he knew that his poetry would gain recognition. I met many students thereafter who did their PhD on the Poetry of Pritish Nandy. In ‘Strangertime’ he wrote ‘Poetry has come out of class rooms of English literature, of professors talking pedantic wisdom to a group of students who drowsily think of escapades, sexual or otherwise’. 'Strangertime' was an anthology of major players in the love poetry scene, include such senior poets like Nissim Ezekiel, Keki Daruwala but also my favorites like Arun Kolkatkar, Eunice Desouza, Bodi Prasad Padhi and off course Maqbool Fida Hussain. 'Strangertime' was a beautiful book brought as a paperback by Hind Pocket books and was available at AH Wheeler Book Shops in the Railway stations. Pritish defended love poetry saying 'Love poetry is the only poetry that can be read and imagined’. Every one of us has encountered love, a love that never reached its destination. A love poem is therefore to be read again and again, somewhere there you may find the fragments you lost in one rush lonesome hour. 'Strangertime' brought accolades to him as he exposed the Indian poets writing in English in such a cheap edition. By this time Pritish had been published far and wide. Among all his books, I specially enjoyed reading ‘Riding the Midnight River”. Nandy’s experimental style and all he could ever do with words to produce a different poem is there. Where an autumnal lust will declare your absence in my skies. Riding the midnight river, we reached a new dream called summer. The strength of Pritish Nandy’s poetry derives from a language that is breakaway and yet simple, sensitive and universal. And that perhaps explains his large following. Mulk Raj Anand in his tribute to Nandy describes him as “the harbinger of the new Indian consciousness” It is this identification of his concerns with the root metaphors of his time that has impulsed such wide interest in his work.